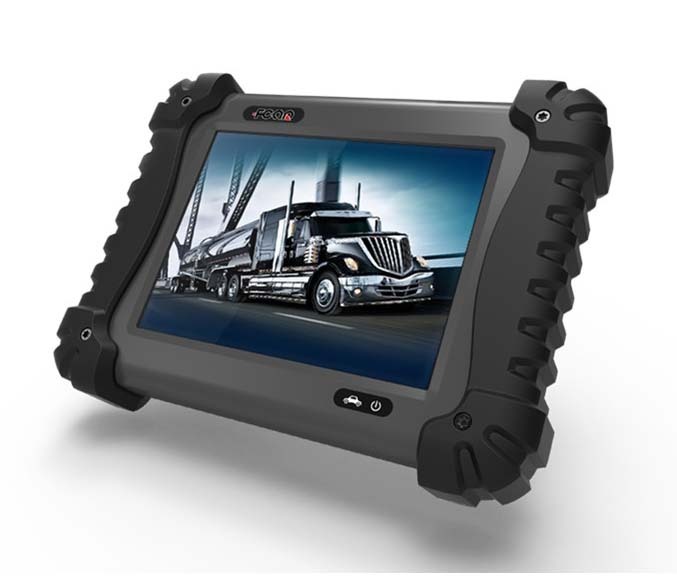 The Snap-on Solus is our oldest scan tool at work, I use it when I need reliability but don’t enjoy the “20 questions” it asks before it will access a vehicle, or the fact that many of its adapters require a special key to be inserted for each vehicle. But the fact is it has never let me down and is the best tool for Mercedes Sprinters [it finds features other scan tools don’t for Sprinters]. The Autel Maxisys pro is our newest scan tool, it’s really good the way it stays connected to wifi and lets you know when it has updates - though it’s quite expensive to subscribe to constant updates - for the NZ$1200 a year we could just buy a new scan tool of another brand with the latest updates each year. Because it’s a tablet it also has the weakness of being as reliable as a computer. Then there’s the 15 year old Launch X431 Diagun, very reliable and sometimes surprises with functions the bigger scan tools don’t have, good with European vehicles - we leave an extension lead on the bluetooth adapter so it’s not that easy to forget in cars. The Fcar is the best on trucks, slightly strange software to work with compared to the others so I haven’t used it much on cars. Made to military specs the boss almost freaked when the sales rep threw it onto the concrete floor to demonstrate its strength, then picked it up, rebooted and carried on scanning a vehicle. This is the only kit that came with a 12 pin Isuzu plug that we needed on a recent job to perform a dpf regeneration. The old Tech2 is like the dinosaur of the bunch but very good for its applications. So, on to “budget” scan tools since we’re all after a bargain and after all, why pay more than you need to if you can do the same job for less? First there is manual code extraction with detailed instructions on rennacs showing which pins to bridge out to extract codes manually. For phone based bluetooth scanners the ELM327 is the cheapest and most popular option starting from about $2 for possibly a rip off of the original. Good if it does what you want on your own vehicle but nothing I would want to seriously work with. Considering the price there’s no harm in keeping one spare in your tool case, or glovebox, for the chance that it could save the day in an emergency..
Then there’s the Xtuner CVD16 heavy duty option that does 12 and 24v vehicles - which would be great if it worked on everything I’ve tried it on but doesn’t seem to be able to get into the Isuzu trucks, though it got into a Chinese Foton truck ok. It has a nice recorder-graphing function that allowed me to record the engine revs vs air flow sensor readings while driving a VW Touareg and then view it later in playback mode. Worth having in your kit for the price. I also have a Launch CRP123 which I bought after much research, a very capable little tool which can also get into A/T [automatic transmission] modules [along with engine, airbag and ABS] which the above Foxwell can’t. But then it can’t do a SAS reset. Every year these tools get better and cheaper so there’s no reason why the average ‘tinkerer’ can’t afford to have something to dig deeper into their vehicles systems and save themselves lots of headaches [or possibly cause some if they don’t diagnose properly but that’s another story]. The Launch CRP129 specs appear to be a combination of the two tools, the CRP123 and the Foxwell NT630 Elite, because besides scanning the 4 main systems it also advertises the ability to reset systems like ABS and steering angle sensor. Then there’s the “must have” Autel AL539 multi-meter/scanner. Get it for the multi-meter function and you have a bonus of it being a backup scanner - and it has a built in battery [I wish our $3000 Autoland had one]. Since it has a dedicated I/M readiness button that is a feature I am learning to use as well but the fact that it has an a/c voltage display means you can actually use it as a basic oscilloscope. The obd2 function is all you get as a scan tool but the other day after diagnosing a fault on a Lexus with the expensive gear I scanned the same vehicle with this tool, got the same VVT solenoid fault codes as the $4000 Autel and moved the $8000 oscilloscope out of the way and connected the two leads to the VVT solenoid and it auto-ranged the PWM signal and showed me the pattern and told me it was a 22% duty cycle - everything that $1200 worth of ‘other’ gear had done. Obviously it doesn’t have the same depth of functions that “the good stuff” has when you have to dig deeper but for 90% of the diagnostics we do it was enough. It also has some interesting functions like checking charging via the obd plug and checking battery voltage when cranking which basically measures the minimum voltage the battery drops to when you start the vehicle. Apparently the AL539”b” has a ‘proper’ battery test function as well. Just a warning, when you update it suddenly the display changes to numbers you can’t interpret and you have to reset the language to English to use it again. This is the reply I received from the supplier to navigate the menu again. After posting this blog a reader bought the “b” version and made contact to let me know that their unit lost all its information icons on the menu, though it retained the text, after his first update. One would think that a company that sells so many promising products could get the updating process right - at the moment I favour the Foxwell quality and update functionality. For budget car and truck scanners the Multidiag pro+ is a useful tool that can either plug directly into your laptop or you can get the newer bluetooth version. It has quite a comprehensive list of vehicles that it scans along with a “Trailer” option for Wabco, Knorr and Haldex ABS. I have used the older “USB direct connection” model connected to our workshops’ windows 10 laptop with success, but the “new improved” bluetooth model I bought for my own windows 10 laptop gave a lot of trouble trying to set up because it isn’t written for Windows 10 [stated as “windows XP or Windows 7 32 bit] - and when I installed the drivers manually as advised it interfered with my trackpad and keyboard, so I had to reset my computer and remove the software. It also comes with a disc for the software along with a “keygen” which you have to run to activate it, suggesting that it isn’t exactly a legal way to do it. Then you have to turn off wifi before opening the program so it doesn’t go online and tell you the program needs to be activated - all to much hassle for the average user. Finally [for now] there’s the Autel MD805 which is to date the cheapest full system scanner which ALSO does obd1, besides the standard obd2 that every cheap tool does anyway. This is useful for people in a workshop who don’t know what vehicle they will get next. If it’s your own vehicle and you don’t work on anything else then get whatever does the job but if you want to be more versatile then get something that does "pre-obd2” vehicles as well. After a bit of research, I had initially thought that the MD801 and MD802 which advertise “pre obd2 vehicles” on their hard case were the only ones that did OBD1 as well, because the MD805 didn’t actually mention “pre obd2”. But when you look harder at the description on the MD805 they mention that it also does the same vehicles as the MD701/2/3/4 which are “pre obd2”. I will test it extensively when it arrives because if it actually does obd1 and obd2 4 systems plus “50 other systems” then at the price there won’t be much point buying any other scan tools in the price range [besides having some sort of “double check” option if the code you get seems weird, it’s always good to have some option to confirm it] The Foxwell NT414 4 system scanner seems to be the only other tool in the price range [90% of the price] that also does obd1 - it doesn’t do a full system scan though which is pretty essential these days in a scan tool so it’s well worth paying another $20 for the MD805. That’s it for now up to 11/11 2018. I will update this blog with my findings on what these budget tools can and can’t do. 15/11/2018 The MD805 arrived yesterday and has done pretty well on each vehicle I have tested it on. Except the 2005 Toyota Camry. It does an auto search, finds the vehicle, tells me what model it is and what engine it has but goes no further - no matter what I press it doesn’t scan anything on the vehicle. I’m still waiting for feedback from the suppliers on what I’m doing wrong [or what the tool can’t do that they advertise it can do]. Besides that, I would still buy it again given the chance. I just got back from a test drive in a 2013 Ford Ranger where I graphed the wheel speed sensors in the ABS module. It can only merge two graphs at a time, even if you select all 4 wheel speed sensors it will graph the first two - then you have to select the other two later and check them separately. My Foxwell NT630 Elite arrived this morning - I have had the chance to test a work associate’s unit for a few weeks and I’m still impressed with this unit. I had connected the Autel MD805 multi system scanner to the Lexus LS430 I’m working on and all it could do was scan obd2 fault codes. When I tried to access ABS it goes through the motions and leads me to the “Lexus” icon and even tries to access the vehicle and actually tells me its model and engine type. Then there’s this awkward silence as I press the “ok” button multiple times and nothing happens - I’m still waiting for Autel support to get back to me on this one. I plug the Foxwell NT630 in and there is an ABS option right on the screen which took me into the ABS module, scanned it and told me that the “zero point calibration” had been lost. I found a “test” mode and it reset it for me and the light went off! I tried with the Launch CRP123 and it could read the codes but couldn’t do any special functions - I imagine that is what the CRP129 for another $50 is all about. Though I had trouble updating the Autel AL539 and so did someone else who read this blog I am still finding it to be my favourite tool at the moment. The I/M readiness mode is so cool the way I can tell what the engine isn’t happy with and while I had the Lexus engine running I can watch that screen and see the “pending” fault codes pop up a “1” as the ECU picks up that the VSV solenoid is open circuit, then 30 seconds of idling later I see a “2” pop up under the current fault codes area when the two VVT solenoids aren’t getting the desired response from the ECU. With regard to the update issues of the Autel AL539, two of us at our workshop ordered one. I updated both of them as soon as they arrived and their menus both turned to numbers instead of words. The supplier gave me the sequence of numbers to select to change the “language” back to English. Then someone on the scannerdanner website read my comments about the AL539 and bought himself the AL539B with built in battery tester and reported that when he did the update all the icons on his menu disappeared. I think Autel needs to re-think their program somehow and provide a more reliable update system because they will be left behind by products like Foxwell and Launch who have so far provided flawless updates in my experience, an work well - unlike the Autel MD805 that hits a roadblock when I try to scan a 2000 Lexus [video].